Managing social media professionally involves more than just scheduling Facebook updates and liking retweeting others. Social media marketing is a trending career right now and a great option for anyone who wants to help businesses rock their social media presence and enjoy a flexible work schedule. Social media management can be done virtually whether from your home, your local coffee shop, or anywhere making it an ideal way to earn extra money on the side or transform into a thriving full-time career. I recently had the pleasure to interviewing a Sarah, a self-taught social media expert and marketing guru. Sarah is a single mom and Arizona State University grad who launched a social media marketing firm called The Blonde Spot. At The Blonde Spot, Sarah and her team of marketing and web development geniuses help companies implement social media marketing strategies and work on digital advertisement, social media presence, website development, and overall marketing and business strategy – all while having more fun with their work. 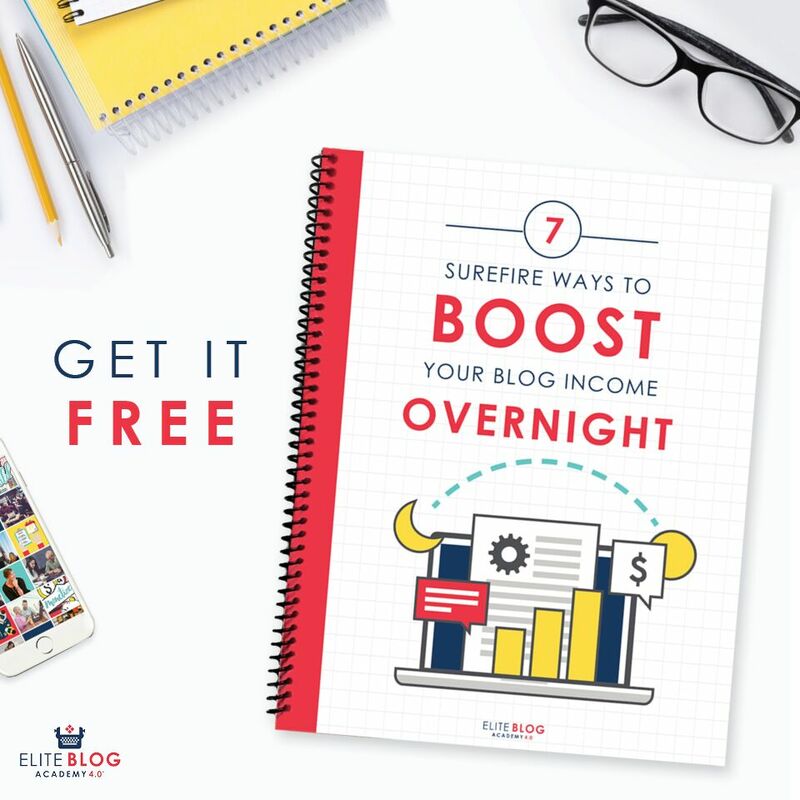 Sarah was very transparent in sharing how she got started as a social media expert – and turned it into a thriving career earning $68,000 this year – along with tips for anyone who wants to take a similar path and work from home in this field. There are so many titles out there for people who work professionally in the social media field. What is your current role? I’m an owner of an all woman powered social media marketing firm. What made you go into the field and how long have you been doing social media work? I originally went into this field completely out of desperate need. I was a student and needed something I could do from home after school work was finished and my 1st job was done. I found some information online through Arizona State University and I jumped on the opportunity. I don’t have a degree in marketing, and I’m self-taught. Initially, I never thought it would be my full-time career, but after I had my son, it became my bread and butter and really pushed me into the field. I’ve been working in social media marketing for six years now, in January. What do you think attributed to your success with social media management? It was my drive and my need to provide for my son. Don’t get me wrong, I love doing what I do, but like I said, when I first became a mom I knew I needed steady income and I moved into the field. I’ve been successful based on the motivation my son gives me – he deserves the best and I want to give it to him. What skills do you think are necessary for someone to become successful in this field? You have to understand that social media marketing isn’t as simple as posting something on your page’s wall, or sending out a tweet. You must have both a highly creative and highly analytical mind. Balancing of the left and right side of your brain is no easy feat, but is a necessity in this field. Sometimes like chaos. Social media never sleeps, and when your clients are across the whole world, it’s a challenge sometimes to stay on top of global trends and ensure you’re doing the right thing. Structurally though, I sleep until 6, get up with my son, enjoy breakfast with him, sit down at my home office (not as glamorous as it sounds), and just pound through the work. I break at 10 to do learning exercises with Fox,then work until 12:30 where I then fix lunch, play with him, put him down for a nap, and then hit the grind. On a good day, I finish by 5 or 6 pm, and spend the evening with him, then get right back to it all around 9 pm. Are there any obstacles you had to overcome to get to where you are now professionally? My biggest obstacle was understanding basic marketing language at first. Since I’m self-taught I flew by the seat of my pants. I have a marketing mentor here in Arizona that has been helping me become more plan oriented than time oriented and it’s helped a lot. I have a great understanding of a sense of urgency and can get carried away with that. It’s important to take your time – especially when it comes to promoting someone else’s brand. 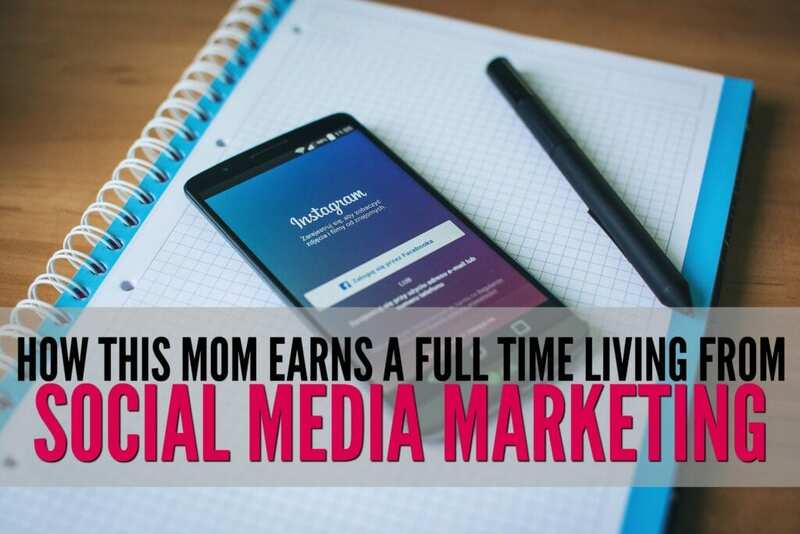 How much do you think someone could earn as a social media manager? If you’re planted in a company you could hit the roof at probably $75-$120 depending on if you reach a director’s status and the company can afford your salary. $68K after having only made $32K last year. But to get to the $68k, I expanded my knowledge and what my company, The Blonde Spot, could offer. In the summer we expanded to email newsletters, email marketing, lead conversion systems, web design and development, and in 2017 I’m looking to move more into online education and consulting. What tips or resources do you have for someone who is a newbie and wants to land their first client? Avoid Upwork.com. They rob you of the income you earn by taking out 30%. It’s a great place to see what kind of jobs are out there but I would never work a project through Upwork. Utilize LinkedIn and seriously vamp up your own personal social media presence. You are a brand, what you do can be branded and help you rocket into success. To connect with Sarah, you can visit her site, check out her podcast or connect with her on social media. Sarah’s success is proof that with determination and drive, you can create a thriving career that allows you to support your family and live life on your own terms. While she didn’t have a degree in marketing, she used the resources available to her to become an expert and offer clients a truly valuable service. 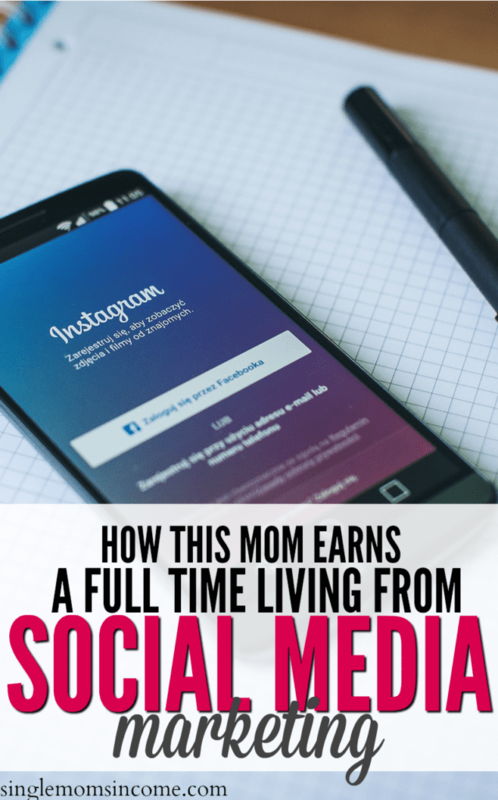 Have you ever considered social media marketing either as a side hustle or full-time business? What other flexible work-from-home careers would you like to learn about in-depth? 30% in commission? Have they lost their minds? Back in the day, when I used Elance, I’d pay 9% in commission as a freelancer and nothing as a client. Uff, clearly, stay away from this site and build your own portfolio. Great article! We have a lot in common, Sarah! I also have a marketing business and work around my toddler’s schedule. Best of luck in your business ventures! I too have a three year old to work around. I enjoy social media marketing so much! I use it for my blog and have done some services for clients as well. I actually just landed a SEO position with a firm, where social media is a very important part of the campaigns!